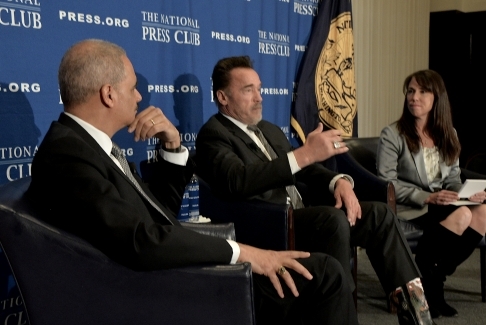 Former U.S. Attorney General Eric Holder, actor and former California Governor Arnold Schwarzenegger shared a NPC panel moderated by Club  President Alison Fitzgerald Kodjak to discuss the importance of eliminating gerrymandering in order to preserve a more democratic voting process. 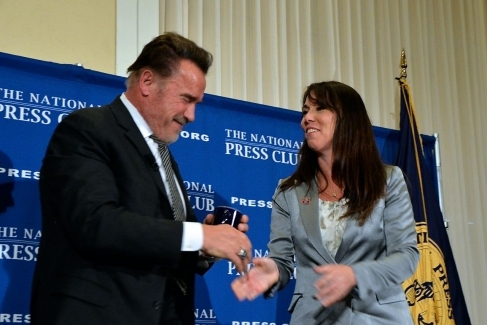 Former Governor and actor Arnold Schwarzenegger receives a NPC all purpose mug from Club President Alison Fitzgerald Kodjak. 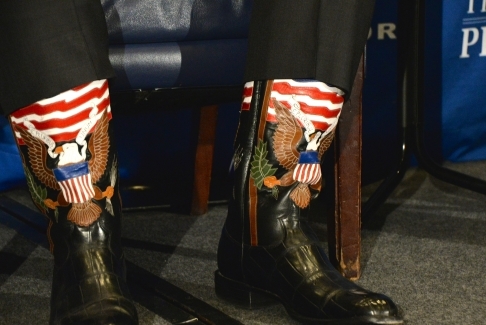 Former U.S. Attorney General Eric Holder spoke against gerrymandering at a Press Club Headliner following their arguments at the Supreme Court in two redistricting cases.